REAA trained students are regarded as the most highly sought in the country after completing their Real Estate Course. Join Australia’s real estate elite with an education from the REAA. NREL National Real Estate Learning delivers online real estate training in Queensland, New South Wales and Victoria. NREL’s online learning platform is a 21st century way of meeting the needs of people who are looking to start a real estate career, or up-skill their current qualifications to further their real estate employment prospects. The first step of a career in real estate is obtaining the required qualifications to work in the position you want to apply for. This is a quick summary of what qualifications you need for Coronis positions. Once you know what course you require, it’s time to find a registered training organisation (RTO). Every Queensland RTO will be delivering identical course units as they need to adhere to regulations set by the QLD Office of Fair Trading. The only difference between RTO’s is how they deliver the course, either online or inclass and the level of support they provide. Have you been thinking to venture out on your own but cannot find a suitable business to be in? Don’t worry; it happens to almost all of us. Whatever great ideas we come up with in our head require a lot more investment than originally thought, or simply, don’t work quite as well on paper. Some people work well when there is a steady weekly or monthly income. Others like more freedom and are not concerned with constant incomes as they prefer to do what they love. These particular people thrive in leadership roles or in their own businesses. However, that is not too easy. It requires a lot of expertise hard work and above all, investment. If investment is something that holds you back, you should consider building a career in real estate. It is the sort of a career that you can turn into a business of your own in the long term, and that too with little investment. A career in real estate could be ideal for those who do not want the traditional eight-hour job routine..
Take yourself thorough a self-assessment that reflects whether you’re suited for an own-business venture or not. You can consult career advisors or maybe read a number of books and articles to know how the industry works. If you have the skills to success in a sales role, or you like meeting with new people and building relationships, then a career in real estate might be of interest to you. It opens you to vast employment opportunities. A career in real estate not only allows you to make good money, but it also give you the freedom of working on your own. The real estate industry offers a plethora of career opportunities and although there are many challenges, a real estate career reaps the rewards. Like all other things in the world, a career in real estate has many pros and cons. Considering these advantages of building such a career can help you make an informed decision whether you want to join the real estate sector and build a career in it. When you are your own boss, you don’t have to listen to the instructions from bosses. You are in control, you make your own decisions and run the business they way you want to. It is up to you to decide if you want to expand or if you are satisfied at the current state of the business. Compare this to working for an organisation, your growth, salary, and daily routine would be all in the hands of the bosses. If you’re someone who does not like taking instructions or being held responsible for other people mistakes, you should seriously consider starting a career in real estate. After having gained relevant experience, you can build your own agency. If your business has reached a particular level, you might be happy with what’s been achieved and focus on maintaining this level. Alternatively, you could choose to hire more people, expand and continue growing your empire. It’s up to you how much you want to grow a real estate business and how quickly you want it. A real estate business is one of the few professions where growth and incomes are directly proportional to the effort you are willing to put in. Most of the real estate agents are independent contractors which means they can make their own decisions. Thankfully, real estate is not a standard 9-5 job. It allows you to set your own hours on not be stuck at work for 9 or 10 consecutive hours. You have a freedom and flexibility to do things the way you want. You can choose to work in the morning, afternoon or at night according to your preference or availability. This also means you can run a full-fledged real estate career in part time to raising a family or starting a side business. If you want to take a day off, you can. Alternatively, you can work from home, or a place of comfort, all you need is a computer and a phone. 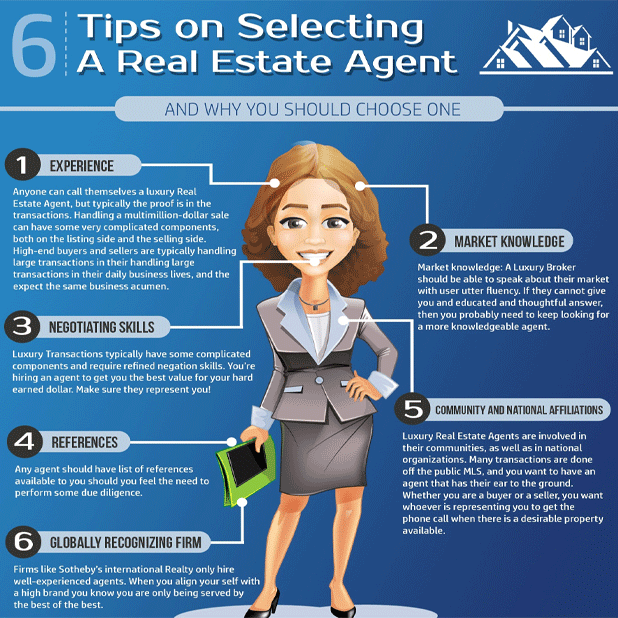 This excellent blog article titled 'How To Become A Real Estate Agent' is great information to get you started in Real Estate Course Training. A career in real estate does not generally comprise of fixed salaries. Although it varies, the salaries usually comprise of a fixed and a bonus/commission element depending on whom you are working for. If you want to earn more, it takes a little more effort to cater more clients in that period and you can end up earning more. Alternatively, if you obtain a real estate agent license you can start your own real estate agency and be your own boss. In this case, your income potential would be even higher. Real estate dealings involve a lot of negotiations, if you get better at negotiating in a deal, this could also translate into higher profit for you. Like many other businesses, the real estate industry requires a lot of background knowledge and homework prior to entering. However, it is one of the only industries that doesn’t require a two or three-year university degree. All you need to do is to take a 2-day real estate course, complete the assessments and obtain the license to practice. This is also effective in terms of costs compared to other careers such as medicine. You would not only have to pay a lot more to attend medical school but also spend many more years in gaining the qualification. A real estate career is something you do not begin at a very young age. You will see many people join real estate business after they retire from their jobs or doing it in part time as they raise a family or manage a side hustle. There are people who do not have a background in real estate, yet they make it in their real estate careers. All you need to do is to take a real estate course, complete the assessments and make the calls. This is the most amazing part of having a career in real estate. Unlike all other industries, which have ups and downs over the course of their businesses, real estate is a business that never dies. During all economic conditions, people still buy, rent and sell properties. This is good news for real estate agents since it means business for them all year round. Similarly, while all other businesses or industries might lose their worth overtime, become obsolete or simply become less profitable, real estate is a business that is never going to go away. People will keep buying, renting and selling properties. This means there will always be a need for good real estate agents. That said, housing markets also see bad times, but good real estate agents still end up making decent incomes. If you are a people’s person and you like meeting new people every day, real estate career is a great opportunity for you. Over the course of your job, you will meet people from all races of life. By helping them throughout their property transactions, you’ll likely end up making tremendous business relationships. Your network grows every day. This not only satisfies the social element in you, but also helps you get several repeat clients and client recommendations based on your customer service and client relationships. Being a real estate agent can make it easy for you to enjoy the freedom in your life. You can take ample time out for yourself. As you progress, you develop relations with other agents in the office who have similar work ethics to those of yours. This way you can rest assured your clients are in safe hands, and you can direct your clients to them if you want some time out for a holiday or your family. If you’re thinking of staring a career in real estate, don’t wait! Do your research, meet a career advisor, consult your elders, or if you have someone in your family who already works in the real estate sector, he or she might be able to guide you. Once you have made the decision, all you need to do is to take a real estate course, complete the assessments and obtain the license. Once you’re deemed competent, you’ll be ready to start your career in real estate.